The Studio Arts program offers an Associates of Fine Arts degree (AFA) which enables students to transfer credits to a four-year university. Besides participating in the AFA Graduate Exhibition in the Adminstration Building (1000) Art Gallery, students can network and keep up with the latest news and events on the AFA Facebook page. The painting series allows students to experience acrylic, watercolor, and oil media, with an emphasis on developing drawing skills and practical application of design principals. All painting courses incorporate an intensive examination and use of color theory and pigments and students can take this understanding into all other fields of visual art and design. While the beginning course emphasizes the development of basic painting skills and perspectives, students who advance in the series build upon these skills and focus on individual creativity in their work. These courses also provide the aspiring fine art painter with a departure point for developing a body of work in the painting media and to move into the fine art market or to further their skills in a college or university BFA program. Painting courses can be taken to satisfy the 2D concentration of the Associate of Fine Arts degree. 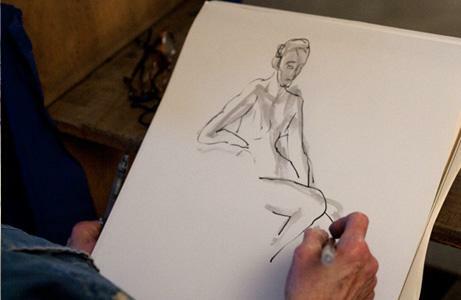 Develop and apply perceptual skills in drawing and painting from observation. 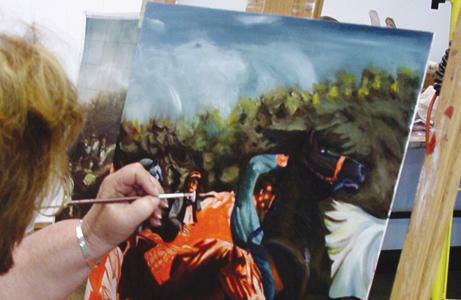 Apply understanding of composition and color design to visual solutions in painting media. Demonstrate effective use of materials and processes in creating original paintings. Use the language of color and design in the analysis and discussion of painting. Apply understanding of composition and color design to visual solutions in painting media to develop individual direction, interests, and point of view. Build on understanding of materials and processes in paint media in the development of individual direction, interests, and point of view. Use the language of color and design in the analysis and discussion of painting in the development of individual direction, interests and point of view. Drawing is the most basic skill needed to succeed in all the visual art disciplines. Whether you go into fine art, graphic design, or web design, there is no tool or technique that can replace the knowledge and ability to see and interpret the visual world than is acquired by learning to draw well. In the drawing series you will begin to explore a variety of approaches to the two dimensional surface and become familiar with the language and concepts of drawing and the tools of the trade: charcoal, pencil, ink line and ink wash.
Contour, gesture, value studies, perspective, proportion, and composition are addressed through interpretations of the still life, landscapes, interiors, and the figure. Students completing the series can feel confident in increased visual skills as they proceed to the fine or applied arts. The drawing course series can also be counted part of the foundation requirements of the Associate of Fine Arts degree in Studio Art which is an excellent preparation for transfer to a BFA program in art at a four year college. Develop and apply perceptual skills in drawing from observation. Apply an understanding of visual structure to drawing. Demonstrate effective use of processes and materials in drawing. Use the language and vocabulary of design in the critical analysis of drawings. 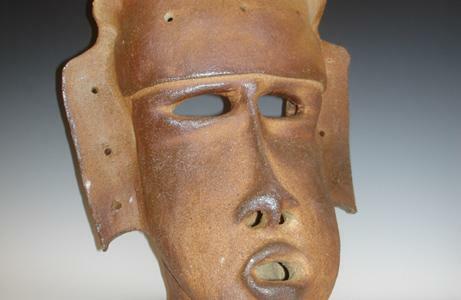 Clay, glaze and fire are the mediums of ceramics, one of the world's oldest art forms, which continues to have a vital and expressive place in contemporary art. 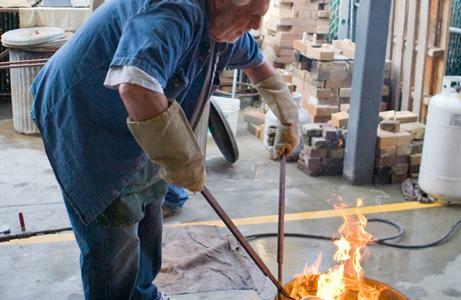 Students in the beginning ceramics course develop basic skills in handbuilding, throwing forms on the wheel, glazing and are introduced to different firing strategies, including raku and high-fire reduction. The integration of basic skills with principles of design and creative processes is emphasized in all courses. 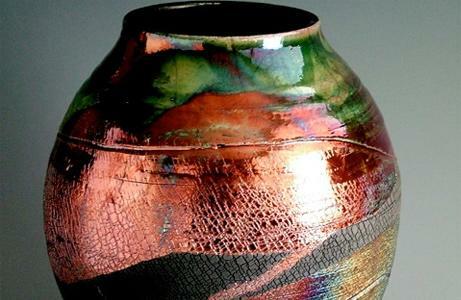 Students who advance in the series build upon these skills, are introduced to glaze mixing and firing procedures, and focus on developing individual creativity in their work. Students who complete the series will have the skills and understanding to pursue their own artistic development. 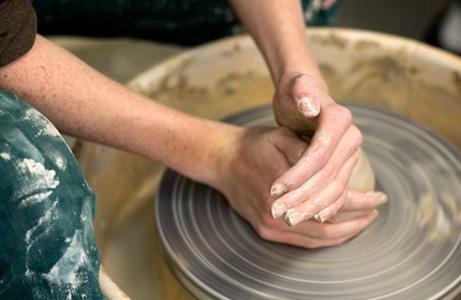 Ceramics courses may also be taken to fulfill the 3D concentration of the Associate of Fine Arts degree in Studio Art and may be part of a pathway to a BFA degree at a four year college. 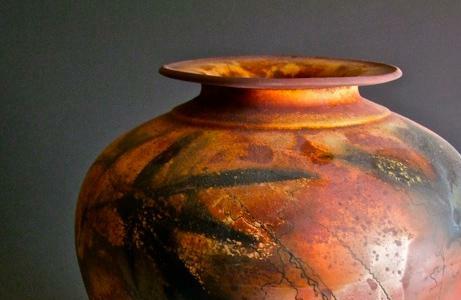 Develop and apply perceptual skills in the creation and appreciation of the ceramic vessel. Apply an understanding of form, function and structure to the creation and appreciation of the ceramic vessel. Demonstrate effective understanding and use of processes, tools and materials in the creation and appreciation of the ceramic vessel. Use appropriate language and vocabulary of form, function, structure, materials and processes in the critical assessment of the ceramic vessel. Sculpture classes at Shoreline introduce students to three-dimensional sculpture: what is it, how do we make it and what do we have to say about it? Through lectures, demonstrations, exercises, projects and critiques, students develop a vocabulary of various materials, tools, techniques and visual concepts. Students explore the process of transitioning from an idea, to a two-dimensional sketch, to a three-dimensional object. With a variety of classes offered at different levels in different media (like wood, glass or plaster) students learn a variety of technique (hand building, construction, carving and mold making) they build on from class to class. As the student advances, they further develop necessary skills and techniques to help execute their concepts. 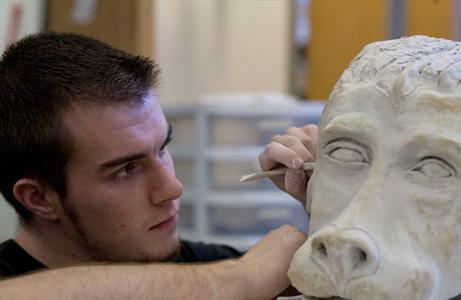 Three-dimensional design and sculpture courses can be taken as foundation and concentration curriculum in the Associate of Fine Arts degee in Studio Art and may be part of a pathway to a BFA degree at a four year college. 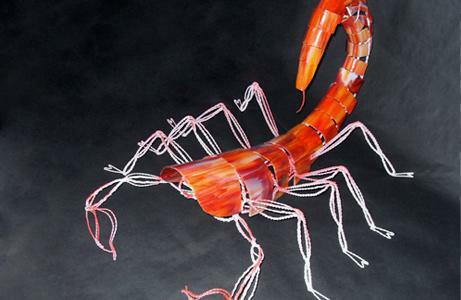 Develop and apply perceptual skills in the creation and appreciation of three-dimensional forms. 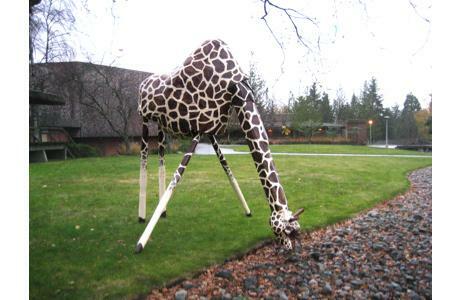 Apply an understanding of visual structure and the language of materials in the creation and appreciation of sculpture. Use appropriate language and vocabulary in the discussion and analysis of three-dimensional art. Printmaking encompasses an immense range of cultural expression, historical application, evolving technologies and current application. The printmaking courses at Shoreline offer a survey of the major printmaking techniques including etching, woodcut, silkscreen, and monotype. 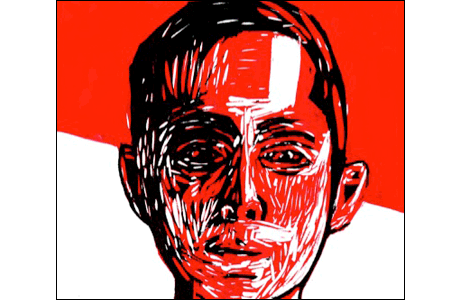 The focus is on idea development, improving design and drawing skills, and understanding the techniques and materials utilized in fine art printmaking. Students completing these courses have the basic skills and understandings to continue their artistic development so that they can begin move their work into the fine art market. Printmaking courses also count in the 2D concentration of the Associate of Fine Arts degree and can be part of a pathway to a BFA at a four year art college. Develop and apply perceptual skills in the creation and appreciation of the printmaking arts. Apply an understanding of visual structure and the language of materials in the creation and appreciation of the printmaking arts. Demonstrate effective use of processes and materials in printmaking. Use the language of color and design in the analysis and discussion of printmaking.